Get the complete picture of the health and performance of your business critical VMware environments. 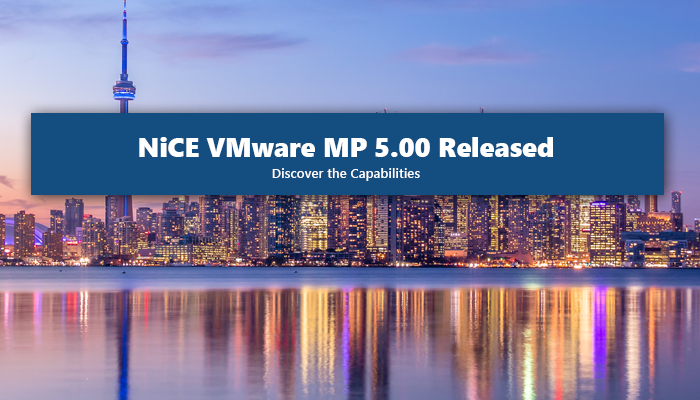 The NiCE VMware Management Pack delivers first-rate monitoring for your business critical, highly dynamical virtualized environments. Even overcoming the specter of global VMware service outages is now viable. Leverage your existing investment, reduce costs, save time and build efficiencies that will last beyond your expectations. We love to make your life easier. Click below and request a demo, download the bits & bytes or even get a quick quote on the new NiCE VMware Management Pack.